Four parties have qualified for the parliament as a result of the last parliamentary elections in Armenia. The winner is the ruling Republican Party, followed by the Tsarukyan bloc, the Yelk bloc and the Armenian Revolutionary Federation Dashnaktsutyun. And it is the first time in Armenia’s contemporary history that an election has not been followed by street protests and clashes. Experts explain that most of the voters have no feeling that their votes have been stolen just because they have sold their votes to the winner, the Republicans. The elections were the final stage of Armenia’s transition to parliamentary rule. In an interview to EADaily, Director of the Caucasus Institute, political analyst Alexander Iskandaryan explains why the ballot has been followed by stony silence and why it has become a fiasco for the supporters of the immediate settlement of the Nagorno-Karabakh conflict and the advocates of Armenia’s Euro-Atlantic integration. He also shares his vision of future political system in Armenia. Mr. Iskandaryan, four parties have qualified for the parliament as a result of the last parliamentary elections. Why them? The results were not a surprise to me. It was clear long before the elections that only the Republicans had enough resources for more than 50%. The Tsarukyan bloc’s second place was not a surprise either. Yelk was also expected to qualify. As regards the Dashnaks, I expected them to poll 5% but not 7%. It was clear that neither the Communists nor the Free Democrats would not qualify for the parliament. Why have Artur Baghdasaryan’s Armenian Revival and Levon Ter-Petrosyan’s Congress-People’s Party bloc failed? Armenian Revival had enough money to obtain votes, didn’t it? The Congress-People’s Party bloc committed two mistakes: first, it ran as a bloc and had to overcome the 7% barrier instead of the 5% barrier for parties and, second, the interviews given by Levon Ter-Petrosyan were very contrary to what most of the voters think: given the last year’s April war in Nagorno-Karabakh, the growing violence on the border, the failed efforts to settle the conflict and the phantasmagoric rhetoric of the Azerbaijani leaders, they could not accept a campaign suggesting settling the problem through mutual concessions. Our people no longer regard Azerbaijan as a party they can negotiate with. So, it was natural that they were outraged by Ter-Petrosyan’s bloc’s calls for mutual concessions and were dumbfounded by Ter-Petrosyan’s personal opinion that they should make concessions to the world community rather than Azerbaijan as the latter is not a party to the Nagorno-Karabakh conflict. It turns out that we are in conflict with the world community and if we say that we are ready to make concessions, the world community will be kind to us and will give us something. But if we refuse to make concessions, it will get hurt and will solve the problem in Azerbaijan’s favor. 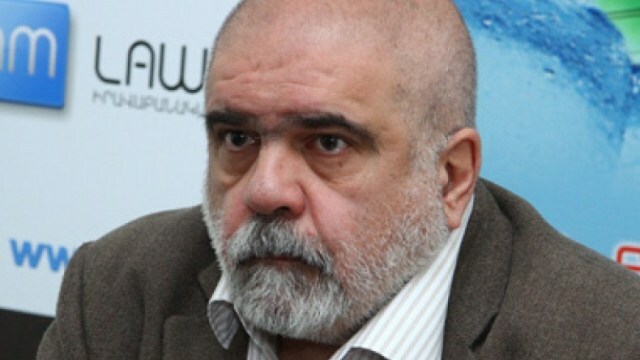 According to Ter-Petrosyan, after the Syrian conflict, the world community will address the Nagorno-Karabakh conflict, so, it is necessary to tell it that Armenia is ready for mutual concessions. This position could hardly attract voters. I think, quite the contrary, the Syrian, Ukrainian and Iraqi conflicts have distracted the world leaders from Nagorno-Karabakh. Calling for concessions in a country where the national doctrine is “no single inch of land to the enemy” was all but good tactics. On the other hand, Ter-Petrosyan’s position has been unchanged for almost two decades already: 20 years ago, he also said that we had no time and that we had to settle the conflict as quickly as possible or we would face big problems. But right after his resignation, the Armenian economy began growing. Perhaps, that was the result of a global trend rather than a specific policy but that proved that a state can develop even if it has an unsettled conflict. And what was the reason of Artur Baghdasaryan’s failure? He had money, controlled mass media and even TV companies, didn’t he? The leaders, the Republicans and Tsarukyan polled too many votes. Tsarukyan sought to get as much as possible to have a big faction in the parliament, the Republicans feared they could lose their constitutional majority. Both parties used non-ideological methods to attract voters. One of them was bribing. It has already become a trend for Armenian voters to vote with their stomach rather than with their heart. I think the key reason why Baghdasaryan has failed to get into the parliament is that the Republicans and Tsarukyan have taken his votes. And what about the voters? Many wonder why in a country where 35% of people are poor and displeased, the winner is the ruling party? This is the most popular topic in Armenia today. Many believe that in a poor country, people should vote against the rulers. But this is not right. The world has so far seen no precedents of people reelecting a government that has made their lives better. The problem in Armenia is that people have no way to convert their social displeasure into political one. People in Armenia are tired of seeing the same people for over two decades. This time, all of the runners promised “changes” but how can you believe one if all he has been doing over the last 20 years was just promising changes? One more important thing: all the runners said was mostly negative. They said that the regime was bad. “Monopolism, corruption, poverty and war are bad, honesty, peace and welfare are good. When I come into power, I will be honest, peaceful and non-corrupt,” this is what they said. But who would believe them. People have heard this for over 20 years already and have seen most of them in power. So, they are all but inspired. This is a primitive but very rational type of voting and the Republicans have made best of it. Their present-day strategy is to manage people’s apathy. Their Prime Minister Karen Karapetyan was also a good trump in their hands but the key factor is that people have no more illusions. When the electoral campaign started, the Ohanyan-Raffi-Oskanian bloc said that it would consolidate the protest voters. Some people believed them, including the imprisoned members of the Sasna Tsrer – a group of ultra-right oppositionists who captured a police department in Yerevan last year and demanded the regime’s resignation. But the bloc failed. What was the reason? It was unable to consolidate the radicals or there were not enough radicals? Both. When the Sasna Tsrer guys captured the police department, lots of people went into the streets to support them. But they were not many enough for giving a party 5-7%. With Artur Baghdasaryan’s exclusive, the four parties that failed to qualify for the parliament polled just 5%. In order to change a regime, you need at least 60%. You can’t find so many protesters in Armenia. The last protest actions that followed the death of Artur Sargsyan (the guy that supplied bread to the Sasna Tsrer group in May 2016) were a good proof of this. The second reason was that the leaders of the bloc, former Defense Minister Seyran Ohanyan and former foreign ministers Raffi Hovannisian and Vartan Oskanian, had nothing in common. It was clear that their alliance was situational and that their only goal was to get 5-7%. They were like Ivan Krylov’s Swan, Pike and Crawfish in politics. The only thing that united them was their critical attitude towards the regime and the wish to get into the parliament. And, the last but not the least factor was that all of them were once in power. What will be the configuration of the new parliament? And will it be a platform for influencing the ruling regime? It will not be a platform for influencing the ruling regime, it will be the ruling regime. It will have the authority to form the Cabinet, to appoint the Prime Minister and to nominate the President. My only question is what the majority, the Republicans, will do in the new parliament. I think they will form a coalition with the Dashnaks. Not that they need them much but it will be a kind of a cherry on top for them. The other forces will try to lobby some ideas but they will not have a serious influence on the rulers. Just remember what happened to Heritage – it just fell apart. The only way for a small parliamentary to survive and to gain real support is to offer voters serious programs and to gradually consolidate them instead of making scandals and citing Moses’s commandments. Before the elections, the Republicans underwent a kind of rebranding. They hid the most notorious figures and ushered new personalities. Their party is an alliance of different political and economic groups. And they will certainly fight for seats in the new cabinet. How will they do it? The coming year will be a year of transition to parliamentary rule. And certainly the groups inside the Republican Party will fight for seats in the new cabinet. Karen Karapetyan will certainly remain prime minister till 2018 and whether he will stay in this office longer will depend on whether he will be able to consolidate many people around himself. Do you see any rivalry between Karapetyan and President Sargsyan? No, today, Sargsyan is above the fray but the groups inside his party will certainly fight with one another. Mr. Iskandaryan, one of the runners, Free Democrats, suggested breaking away from the Eurasian Economic Union and the Collective Security Treaty Organization and joining the European Union and NATO. But they polled just 1% of the voters. Why? Does this mean that the Euro-Atlantic vector is not popular in Armenia? What that party said had nothing to do with Armenia’s foreign policy. All it wanted is to gain certain votes. There are people in Armenia who can give you their votes if you say something they want to hear. Even if the Republicans had lost the elections and had been replaced by some other force, Armenia would not have changed its foreign policy - for there are much more serious factors here, like the Nagorno-Karabakh conflict, the neighbors, Turkey, Iran and Georgia, the presence of Russia in the South Caucasus. Besides, the EU is not eager to admit us and it is not a guarantor of security, it has its own guarantor, NATO, where one of the members is Turkey. But there are people who want to hear certain things, especially if you sell them for 10,000 AMD. Those people choose money between NATO and the Eurasian Economic Union. They don’t believe that the EU will protect Kelbajar from Azerbaijan if we join it. The only thing they believe in is money. The next are the elections into Yerevan’s Elders Council. The runners will be the ruling Republican Party and two opposition forces, Yelk and newly established Yerkir Tsirani (Land of Apricot). Who will win, in your opinion? I think the winner will be the Republican Party. The other two can poll some votes but they have no chances to win. On the other hand, Tsarukyan’s refusal to run may give them a certain advantage. And the last question: for the first time in Armenia, we saw all runners accepting the results of the elections and refraining from protest actions . Why? I think that was the key lesson of the last elections. We woke up in a new country. It was the first time the Armenians did not protest. This is like the rule of a game: if you lose, you stand up and go away instead of taking the board and smashing it on the head of your opponent. Today, the losers in Armenia are afraid of organizing protest actions as they doubt that they will be able to gather a lot of people. You can gather crowds only when people have the feeling that what they have been given is not what they have voted for and that their votes have been stolen. This time people had no such feeling. The same is true for opposition. When oppositionists say that the regime and all of its institutions are illegitimate and stays out of them, people believe them, but when they use illegitimate elections for gaining seats in those very institutions and enjoy the privileges they imply, people stop regarding them as fair players and will not support their protests. This is the key lesson of the past elections.